When you are charged with a crime or being investigated by local, state, or federal authorities, you need to hire an experienced criminal defense lawyer immediately. Being arrested can cause great stress and uncertainty. A criminal conviction on your record can have long lasting implications on many aspects of your life. In addition to being incarcerated, placed on probation, having your driver's license suspended and/or revoked, and having to pay a substantial amount of money in fines, you may have great difficulty obtaining future employment and lose the right to vote and to get a firearms permit. If you are not a United States citizen, a criminal conviction can even lead to deportation. If you are looking for a criminal defense lawyer on Long, Island, New York who will fight for your rights, Michael A. Arbeit, P.C. is the law firm for you. With so much at stake, it is vital that you retain an experienced criminal defense lawyer. At Michael A. Arbeit, P.C., we fight for the rights of all of our clients. We base our mission on the ideal that each client is innocent until proven guilty. The prosecution has a heavy burden. They must prove every single element of their case beyond a reasonable doubt. Some of our clients have been wrongly accused while others are simply good people who have made bad decisions to find themselves under arrest, but regardless of the circumstances surrounding the underlying charge(s), Mr. Arbeit's number one goal is to find the best possible solution and outcome for your specific matter. 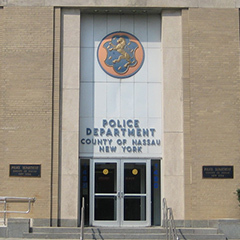 Michael has been hailed as one of the best Nassau County Criminal Defense Lawyers by his client's because of his professionalism, integrity, attention to details, and the pursuit of justice in every matter he handles. When a person is arrested or being investigated for any type of criminal offense, it is very important for a Criminal Defense Attorney to ascertain all the pertinent facts and circumstances surrounding the matter from the client and any and all witnesses and other people with knowledge of the matter on hand. Mr. Arbeit calls this GETTING THE FACTS and will go through an exhaustive list of questions that include, but are not limited to, the WHO, WHERE, WHEN, WHAT/WHICH, WHY, WITH WHOM, HOW, WITH WHAT, and HOW MUCH to get a full and comprehensive picture to analyze the matter at hand. Premier Long Island Criminal Defense Attorney.